In recent years, there has been an immense increase in the amount of bed bug cases in various types of institutions. By institutions, we are referring to healthcare facilities, hospitals, nursing homes, assisted living facilities, psychiatric hospitals, detention centers, jails, juvenile units, foster homes, and similar facilities. For the purpose and intent of this particular series, we are going to place our focus on healthcare institutions such as nursing homes, assisted living facilities, rehabilitation facilities, and hospitals. Not only is this series designed for those that own, operate, and manage these types of medical institutions, but, it is designed for those that stay in, use, and have loved ones in these types of facilities. Awareness is needed to understand the severity of bed bugs in institutions and to know how to treat these infestations quickly and effectively. To initiate this series, it is best to start with a brief explanation about what bed bugs are and common characteristics associated with these pests. Throughout the world, there are over 90 different bed bug species. In the United States, 15 of these species exist. These insects are wingless. The most common bed bug is referred to among pest control specialists as the “Cimex Lectularius”. These are parasitic insects that feed on the blood of animals – including humans. The life stage of these insects consists of an egg, transforming into a nymph, and, finally, becoming an adult. Bed bugs are extremely small. In most cases, an adult is only as large as the seed of an apple – at most. The origin of bed bugs is actually unknown; however, during the period of WWII, only 30% of all the homes in the United States were said to have an infestation of these troublesome insects. Immediately after this war, many utilized pesticides whose residues were capable of being effective for long periods of time. 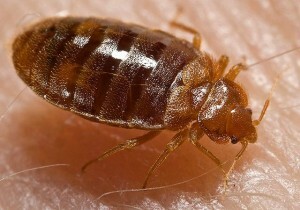 In fact, it has been said that bed bugs actually disappeared for a half of a century from the United States. Pest control professionals believe that these insects continued to exist in the country, but, were considered rare during this 50 year period. In the late 1990s, infestations began to develop in apartments, university dormitories, various hotels, shelters, and healthcare institutions. It is not clear why these insects emerged during the 1990s and why they continue to abound, in large numbers, today; however, there are effective bed bug treatments that will eliminate these pests. Bed bug infestations are a nuisance. These troublesome insects must bite down into the skin of humans and other animals in order to feed on the blood in their bodies. Feeding is a necessary component to their growth and survival. In most instances, they will feed during the night time hours; however, if their survival is dependent on it, they will feed during the day time hours, too. These creatures are not currently known to spread diseases to humans and other animals, but the bites and feeding sessions may result in immense, red, itchy, welts on the surface of the skin. The reactions to these bites vary from one human and/or animal to another. Scratching may result in the onset of a secondary infection. This, in turn, results in further health complications. This is the main reason why it is imperative to eliminate bed bug infestations in institutions. If you would like to learn about heat treatments for bed bugs – which, incidentally, are the most effective treatments for these insects – click HERE.